"We have to always keep in mind that peace can be ensured only by powerful military capabilities, and firmly maintain the principle of self-defence and keep increasing the defence capabilities of the country", he said, as quoted by the KCNA news agency. Kim called North Korea's military independence "a powerful treasured sword for defending the sovereignty", warning that the climate of peace in the Korean peninsula might not last. "The climate of peace that began settling in the Korean peninsula is not durable and the hostile forces' attempt at invasion of the DPRK has not gone", he said, using an acronym for North Korea. The statement comes after US President Donald Trump and his South Korean counterpart Moon Jae-in held talks in Washington, confirming that both nations aim to achieve "fully verified denuclearization of the Democratic People’s Republic of Korea (DPRK) and establishing a permanent peace on the Korean Peninsula". At the same time, Trump claimed that Seoul agreed to purchase a significant amount of US military equipment, including jet fighters and missiles. 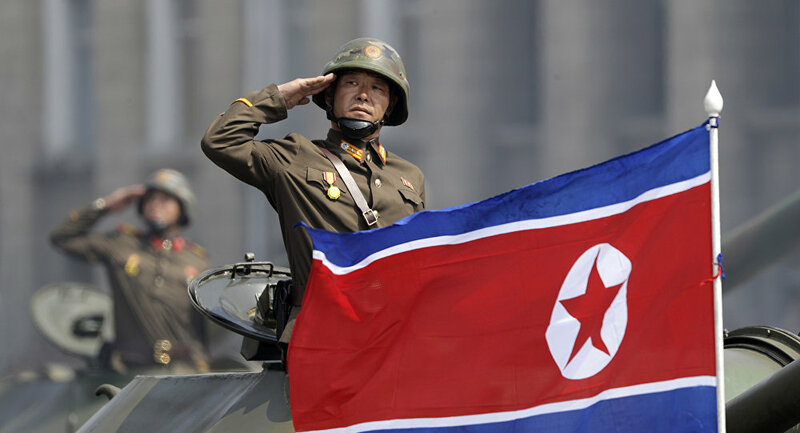 Previously, Pyongyang has repeatedly accused the United States and its allies of plotting to invade the North. In a major detente last year, US President Donald Trump said he would downsize joint drills with South Korea but his second talks with Kim on denuclearisation broke down in February.